Many people suffer from stress and don't realise it. Stress is a growing concern for our society and can lead to depression, insomnia, anxiety and other health risks. Some of the signs of stress can be irritability, anger and snapping at people, difficulty falling asleep or waking during the night, palpitations and shortness of breath, feeling depressed or feelings of not being able to cope. Your body is design to cope with small amounts of stress but excessive stress long term can have serious consequences on your health. Your body organs may begin to malfunction; your memory may fail; you make poor judgements and get short-tempered. Many things can lead to stress such as emotional problems, relationships, hormonal imbalances, poor diet, lack of exercise, digestive problems, ongoing allergies or chronic infection, poor immune function, alcohol or drug abuse. 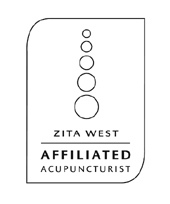 Acupuncture provides a drug-free alternative that can balance and restore the natural balance of your mental, physical and emotional functions by stimulating the central nervous system, releasing chemicals into the muscles, brain and spinal cord, thus promoting the body's own natural healing abilities. Acupuncture has been proven to be effective over thousands of years, and is recognised by the World Health Organisation.